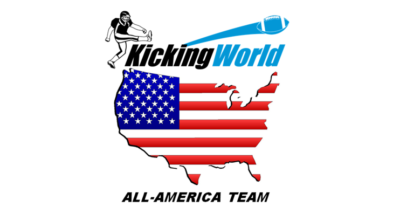 Kicking World, the leading football kicking, punting and snapping instructional program in the world has donated $1,000 to the Hurricane Sandy Relief Fund. Kicking World, the leading football kicking, punting and snapping instructional program in the world has donated $1,000 to the Hurricane Sandy Relief Fund today. Coach Brent Grablachoff, former Central Regional HS and Montclair State University kicker, pledged to donate 10% of all proceeds from the 6th Annual Kicking World Jersey Shore kicking camp held on July 13-14, 2013 at Toms River HS North. The donation was made online at www.sandynjrelieffund.org today. Brent Grablachoff, Owner of Kicking World, lived in Island Heights, a small coastal community near Toms River and minutes to Seaside Heights, NJ for the first 26 years of his life before moving out to California. Brent now lives in San Diego, California, where he operates Kicking World, which provides personalized kicking, punting and snapping instruction to aspiring youth, high school, college and professional specialists world-wide through camps and private instruction. He makes several stops a year in New Jersey for Kicking World camps and to visit his family. Brent had the opportunity to visit home again this past March. Growing up at the Jersey Shore, and seeing first-hand what Hurricane Sandy did to my home state really ate away at me. I drove up and down Route 35 from Seaside to Mantoloking with my Mom, observing the homes and businesses that had been washed away. There were a lifetime of memories built at the shore and in less than 2 days, they were completely destroyed. Fond memories I have growing up with friends and family like going to Casino Pier, Funtown Pier, Barnacle Bill’s, the Boardwalk, etc. were all ruined. After seeing this I knew Kicking World had to participate in the relief efforts to help rebuild the shore and get businesses and families back on their feet and help the shore come back even stronger. During the Jersey Shore kicking camp weekend Brent had the opportunity to see the rebuilding efforts in person as he spoke with vendors on the boardwalk, business owners around the community, and families who lost their homes. It’s a very sad event that happened but I know the New Jersey shore and it’s people has community pride and we will pull through this. My hope is that if others can donate to the Hurricane Sandy Relief Fund, we can restore the shore back to its prominence and create another lifetime of memories for generations to follow. Months later, the Jersey Shore and several parts of the East Coast are still in need of your support to help rebuild homes, businesses, roads, etc. Many families did not have hurricane insurance and lost their homes. To join in Kicking World’s efforts of restoring New Jersey and providing relief to those affected by Hurricane Sandy, please visit www.sandynjrelieffund.org to pledge your donation today.